Ever since MiMi had a taste of my first sourdough boule, she has been begging for some of my starter. Bertha and I were off to such a great start and MiMi wanted in on the friendship. But sometimes good things come to those who wait. I wanted to get a good feel for how to take care of Bertha before I gave some of her away. That way when MiMi had questions, I had a little bit of an idea how to answer. Plus the waiting just made her want it more! So for Mother's Day, I finally gave MiMi some starter. That's right, there is a second generation out there. She has been nicknamed granny. Now that granny is getting used to her new home, MiMi is wanting some recipes to use her in. So be forewarned, I will be sharing some of the favorite things I have made so far in the next few days. Then likely more sourdough recipes here and there for a while. I can never just leave a recipe alone. I always have to do a little tinkering along the way to make it fit my taste or cooking style. Even though baking recipes are supposed to be set in stone, I have to mess with them too. 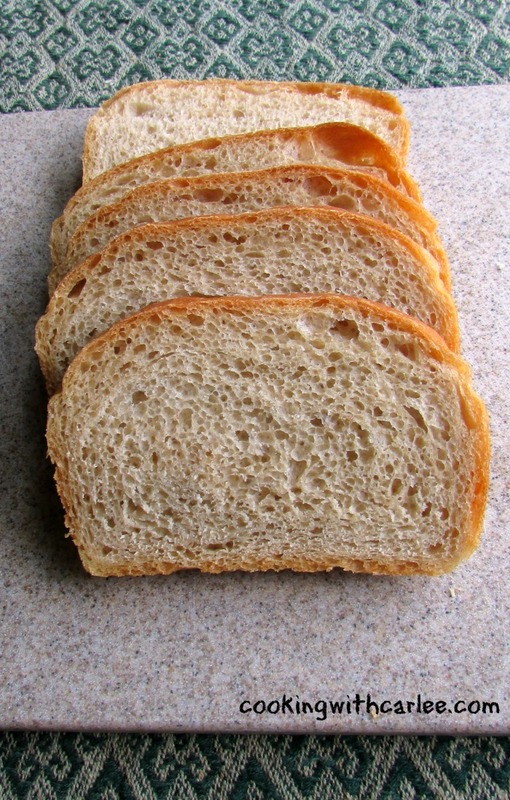 I wanted a recipe that would make great sandwich bread. Airy and delicious, but with no gigantic holes to loose your filling through. I love using whole wheat flour when I bake and I wanted to use plenty of starter to get the nutritional value and some of the flavor. This bread is great toasted with an egg on top or delicious drizzled with honey. Heck, Jax ate a piece straight from the bag this morning with breakfast. Of course it isn't quite as soft as what you find in the bread aisle at the grocery store, but it is made completely from ingredients you can pronounce. Besides, the kneading is good therapy! To shape the dough, pat it out into a rectangle. Fold it in thirds, like you would a letter. Then fold fold it in half, pinching together the seam. (Or use your favorite loaf shaping method.) Place seam side down in a greased loaf pan. 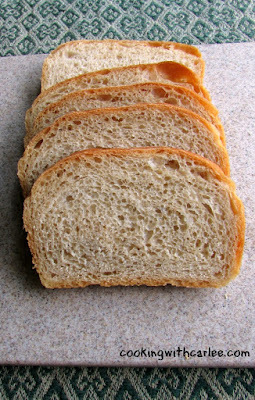 I have yet to find a good whole wheat sourdough bread til now!! We love any whole wheat bread and this looks perfect. And I love that you tinker with your recipes!!! 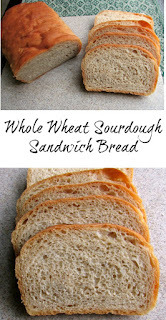 We are big fans of whole wheat too. I use it in almost everything! You'll have to let me know if you give it a try! Hello Carlee, wow this bread looks amazing. I have never made my own bread before except for Irish Soda Bread. I would love to try making it sometime. Thanks for sharing so many recipes with us all. Great looking loaf but I have bad news. You are now addicted to sourdough. Just cut into my first loaf. THIS IS THE SOFTEST HOME BAKED BREAD I HAVE EVER MADE! Thanks for sharing your recipe and knowledge. Yay! I'm glad granny did good for you! Wow! That is a gorgeous loaf of bread! That's awesome Carlee. I bet your mom was happy. ;-D That's great that Jax will eat this too! Will def have to try this. She has made two loaves of this bread and a batch of the chocolate chip muffins already. She also made a skillet bread and some cornbread using the starter, so she is having fun with granny! Bread is my weakness, I would love a slice or two of this awesome bread! Thanks so much for sharing with Full Plate Thursday and have a great day! It's one of my weaknesses to, especially with some nice soft butter! Thanks, Miz Helen! I love homemade bread, and this sounds delicious! Thanks for sharing at Merry Monday! 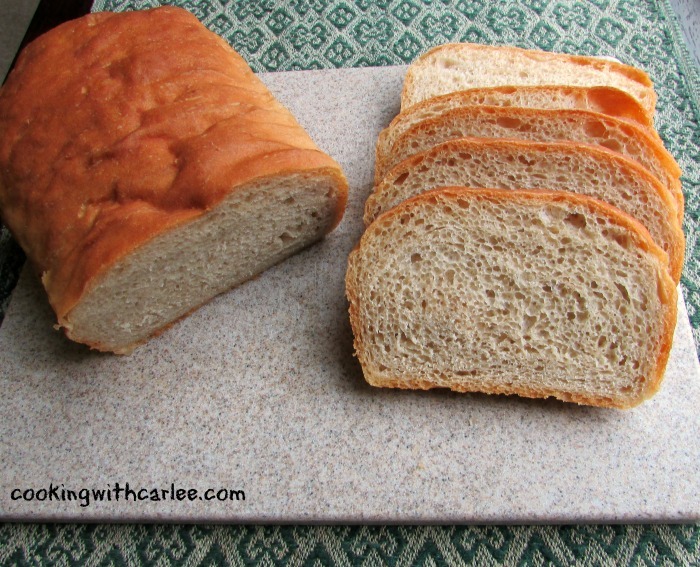 Homemade bread is the best! Thanks so much for coming by! Looking forward to serve this with dinner tonight! Made a few alterations using my 2f of apple kombucha, ground flax and ground oatmeal added. Looks wonderful. Thank you for this simple, no sugar added recipe!! I'm sure this will now be a regular in this home! I can't wait to hear how it turns out! Now I want to make an oatmeal version too!! Is regular whole wheat flour okay to use instead of white wheat? Or should I do a mixture of the two? Thanks!